On this issue, it is interesting to note that Cognizant’s FCPA scrutiny relates to permits in connection with certain facilities in India and you can read all about actual legal authority concerning this type of FCPA enforcement theory in this article. On September 30th when Cognizant disclosed its FCPA scrutiny, it shares plunged over 13% to 47.71. Investors were likely spooked not just by the company’s FCPA disclosure but also the same day Cognizant disclosed that on September 27th Gordon Coburn resigned from his position as President of Cognizant. The question was obviously asked whether the two disclosures were linked. 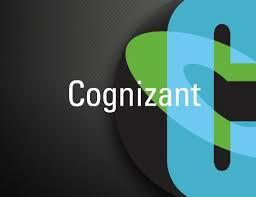 Earlier this week, Cognizant updated its FCPA disclosure as follows. “On September 30, 2016, we disclosed that we are conducting an internal investigation into whether certain payments relating to Company-owned facilities in India were made improperly and in possible violation of the U.S. Foreign Corrupt Practices Act, or FCPA, and other applicable laws. In September 2016, we voluntarily notified the U.S. Department of Justice, or DOJ, and Securities and Exchange Commission, or SEC, and are cooperating fully with both agencies. The investigation is being conducted under the oversight of the Audit Committee, with the assistance of outside counsel. To date, the investigation has identified a total of approximately $5.0 million in payments that may have been improper. During the three months ended September 30, 2016, we recorded an out-of-period correction related to $3.1 million of such payments that were previously capitalized that should have been expensed. The remaining $1.9 million of such payments remains under investigation. The recorded correction resulted in an increase of selling, general and administrative expenses of $3.1 million, a reduction in depreciation and amortization expense of $0.4 million, and a reduction in property and equipment, net of $2.7 million. These prior period corrections and the $1.9 million in payments under investigation were not material to any previously issued annual or any interim financial statements and are not expected to be material to the financial results for the year ending December 31, 2016. During the closing process for the third quarter of 2016, based on the results of the internal investigation to date, we concluded that as of December 31, 2015 and in subsequent interim periods, we did not maintain an effective control environment. Specifically, we did not maintain an effective tone at the top as certain members of senior management may have participated in or failed to take action to prevent the making of potentially improper payments by either overriding or failing to enforce the controls established by the Company relating to real estate and procurement principally in connection with permits for certain facilities in India. Such actions would be inconsistent with the standards and tone at the top to which our Board of Directors and senior management are committed and would be in violation of the Company’s written code of conduct and procedures established in part to detect and prevent improper payments. Based on the results of the investigation to date, the members of senior management who may have participated in or failed to take action to prevent the making of the identified potentially improper payments are no longer with the Company or in a senior management position. As a result of the foregoing, we have determined that a material weakness existed as of December 31, 2015, and continues to exist in subsequent interim periods, in our internal control over financial reporting. Accordingly, we have updated the previous conclusion included in Item 9A of our Form 10-K filed with the Securities and Exchange Commission on February 25, 2016 with respect to our disclosure controls and procedures and internal controls over financial reporting to conclude that our disclosure controls and procedures and internal controls over financial reporting as of December 31, 2015 were ineffective. Also, we have updated the previous conclusions included in Item 4 of our Forms 10-Q filed with the Securities and Exchange Commission on May 6, 2016 and August 5, 2016 with respect to our disclosure controls and procedures to conclude that our disclosure controls and procedures as of March 31, 2016 and June 30, 2016, respectively, were ineffective. Cognizant’s statement that “we did not maintain an effective tone at the top as certain members of senior management may have participated in or failed to take action to prevent the making of potentially improper payments by either overriding or failing to enforce the controls established by the Company relating to real estate and procurement principally in connection with permits for certain facilities in India” would seem to make it more likely than not that the above-referenced executive resignation was linked to the company’s FCPA scrutiny. Such FCPA-related civil lawsuits represent an additional cost to company’s under FCPA as separate and distinct counsel are often hired to defend the civil lawsuits. Very few of these FCPA-related lawsuits have merit (in the sense of getting past the motion to dismiss stage) and on this score it is interesting to note that Cognizant’s stock price closed yesterday at $54.89 – in other words it has regained, in a short amount of time, nearly all of the value from its FCPA-induced dip. Another of the FCPA’s many ripples, in addition to pre-enforcement action professional fees and expenses associated with FCPA scrutiny (which Cognizant did not disclose specifics about in this week’s filing) and FCPA-related civil actions, are other financial ramifications. On September 30, 2016, we disclosed that we are conducting an internal investigation into whether certain payments relating to Company-owned facilities in India were made improperly and in possible violation of the U.S. Foreign Corrupt Practices Act, or FCPA, and other applicable laws. In September 2016, we voluntarily notified the U.S. Department of Justice, or DOJ, and Securities and Exchange Commission, or SEC, and are cooperating fully with both agencies. The investigation is being conducted under the oversight of the Audit Committee, with the assistance of outside counsel. To date, the investigation has identified a total of approximately $5.0 million in payments that may have been improper. Based on the results of the investigation to date, no material adjustments, restatements or other revisions to our previously issued financial statements are required. On October 5, 2016 and October 27, 2016, two purported securities class action complaints were filed in the United States District Court for the District of New Jersey, naming us and certain of our officers as defendants and alleging violations of the Securities Exchange Act of 1934, as amended, based on allegedly false or misleading statements related to potential violations of the FCPA, our business, prospects, and operations and the effectiveness of our internal control over financial reporting and our disclosure controls and procedures. The plaintiffs seek compensatory damages and an award of the costs and attorneys’ and experts’ fees of the plaintiff and a purported class of stockholders who purchased our common stock during the period between February 25, 2016 and September 30, 2016. On October 31, 2016, a lawsuit was filed in the Bergen County Superior Court – Law Division, New Jersey, naming us, all of our directors and certain of our current and former executive officers as defendants. The Company has not yet been served with the complaint. We are presently unable to predict the duration, scope or result of the Audit Committee’s investigation, of any investigations by the DOJ or the SEC or the purported class action lawsuits or other lawsuits. The DOJ and the SEC have a broad range of civil and criminal sanctions under the FCPA and other laws and regulations including, but not limited to, injunctive relief, disgorgement, fines, penalties, modifications to business practices including the termination or modification of existing business relationships and the imposition of compliance programs and the retention of a monitor to oversee compliance with the FCPA. We could incur additional expenses related to fines or to remedial measures. The imposition of any of these sanctions or remedial measures could have a material adverse effect on our business, annual and interim results of operations, cash flows and financial condition. Furthermore, while the Company intends to defend the lawsuits vigorously, these lawsuits and any other related lawsuits are subject to inherent uncertainties, the actual cost of such litigation will depend upon many unknown factors and the outcome of the litigation is necessarily uncertain. The outcome of the internal investigation being conducted under the oversight of our Audit Committee of possible violations of the Foreign Corrupt Practices Act and similar laws and related litigation could have a material adverse effect on our business, annual and interim results of operations, cash flows and financial condition. On September 30, 2016, we disclosed that we are conducting an internal investigation into whether certain payments relating to Company-owned facilities in India were made improperly and in possible violation of the FCPA, and other applicable laws. In September 2016, we voluntarily notified the DOJ, and the SEC, and are cooperating fully with both agencies. The investigation is being conducted under the oversight of the Audit Committee, with the assistance of outside counsel. On October 5 and 27, 2016, two purported securities class action lawsuits were filed in the United States District Court for the District of New Jersey, naming us and certain of our officers as defendants and alleging violations of the Securities Exchange Act of 1934, as amended. The complaints alleged false or misleading statements related to potential violations of the FCPA, our business and operations and the effectiveness of our internal control over financial reporting and our disclosure controls and procedures. On October 31, 2016, a lawsuit was filed in the Bergen County Superior Court – Law Division, New Jersey, naming us, all of our directors and certain of our current and former executive officers as defendants. The Company has not yet been served with the complaint. We are presently unable to predict the duration, scope or result of the internal investigation, the related purported class actions or any other related lawsuit, and any investigations by the DOJ or the SEC, including whether either agency will commence any legal action. The DOJ and the SEC have a broad range of civil and criminal sanctions under the FCPA and other laws and regulations including, but not limited to, injunctive relief, disgorgement, fines, penalties, the imposition of revised compliance programs and the retention of a monitor to oversee compliance with the FCPA. The imposition of any of these sanctions, fines or remedial measures could have a material adverse effect on our business, annual and interim results of operations, cash flows and financial condition. We could also incur additional expenses related to remedial measures, including those that we are implementing in response to our conclusion that our internal control over financial reporting and our disclosure controls and procedures are not effective. Speaking of investors, Cognizant’s investor call earlier this week provides some interesting information. “I’d like to take a moment to update you on the internal investigation we announced at the end of September. The investigation is focused on payments relating to permits for certain company-owned facilities in India and whether such payments were made improperly and a possible violation of the U.S. Foreign Corrupt Practices Act and other applicable laws. Third, and also disclosed this morning, we discovered in the course of the investigation that certain members of senior management may have been aware of or participated in the matters under investigation. Any such conduct would be inconsistent with our core values. Based on the results of the investigation to-date, those who may have been involved are no longer with the company or in the senior management position. Cognizant’s FCPA scrutiny has been in the public domain for a mere six weeks, but already it is presenting an interesting FCPA case study.